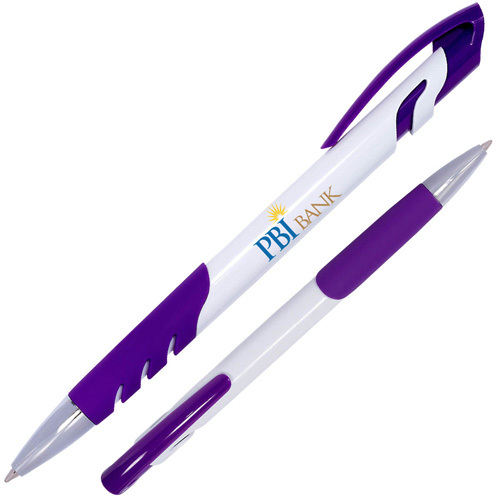 What is a promotional pen? 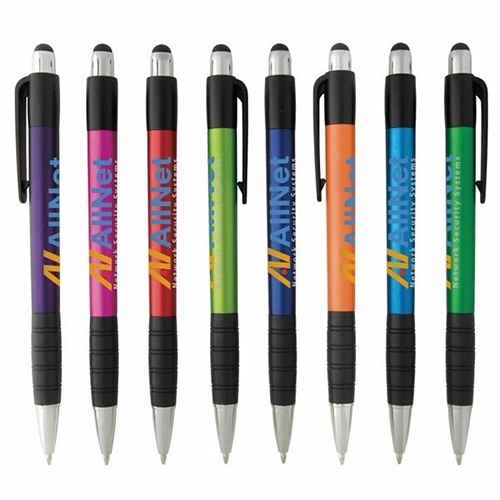 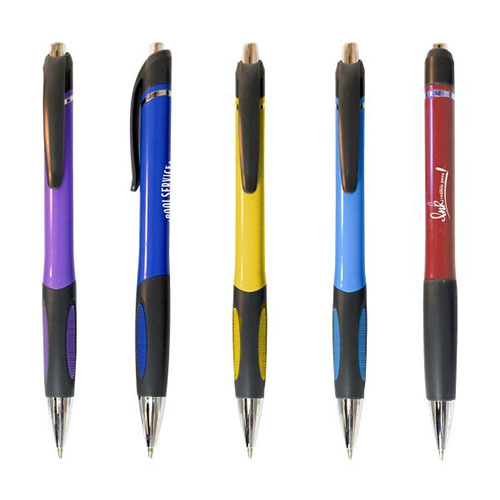 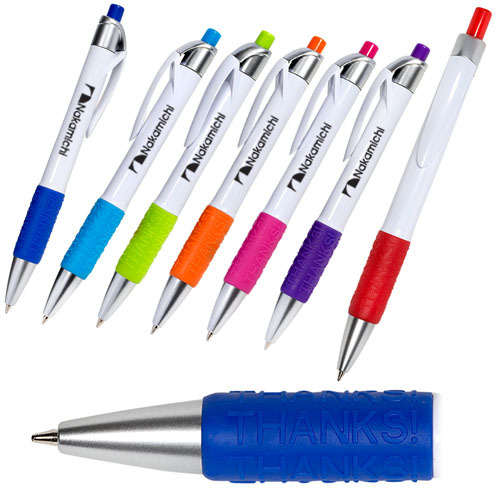 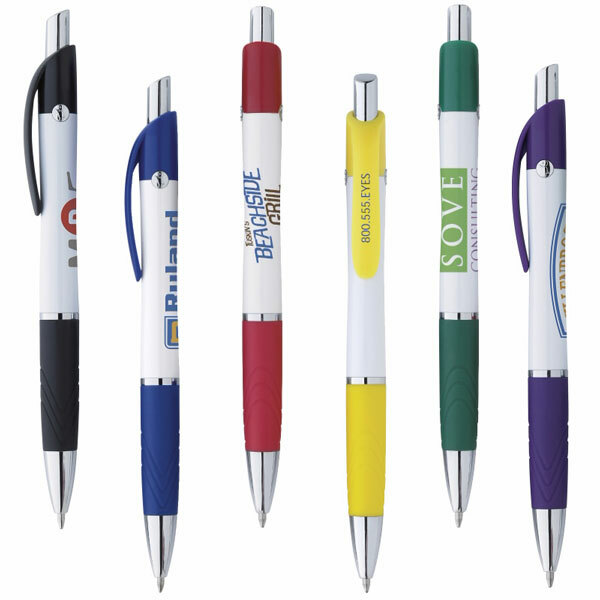 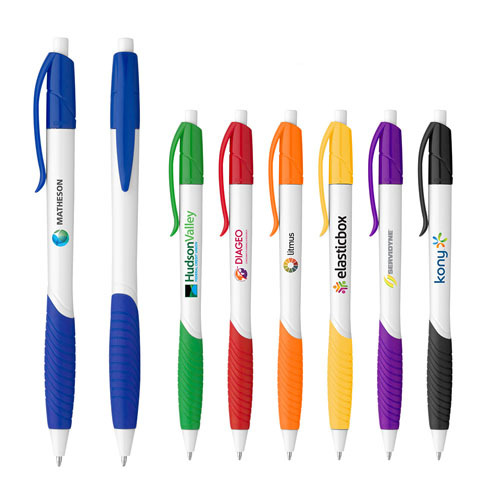 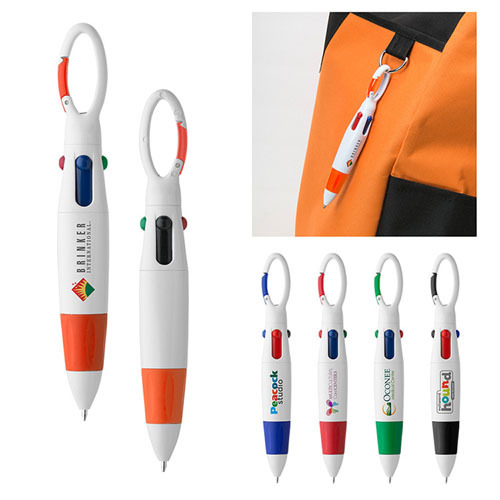 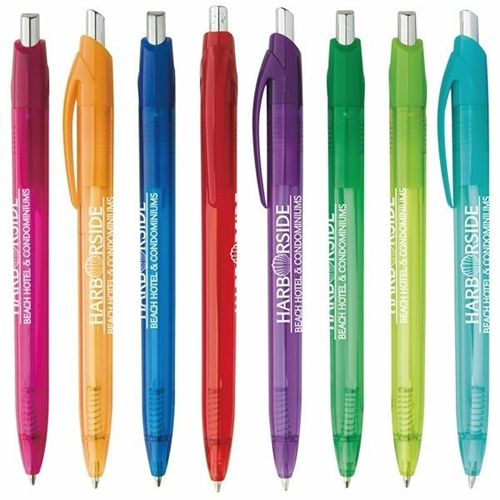 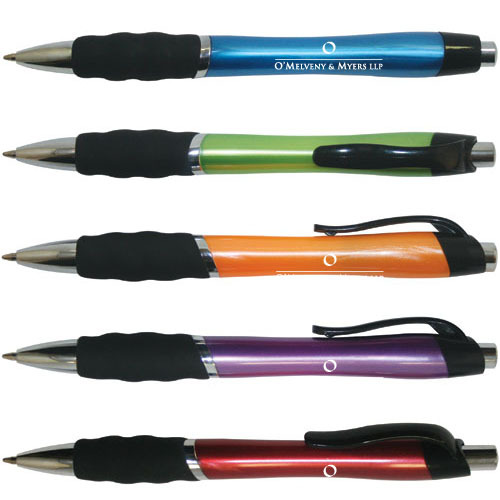 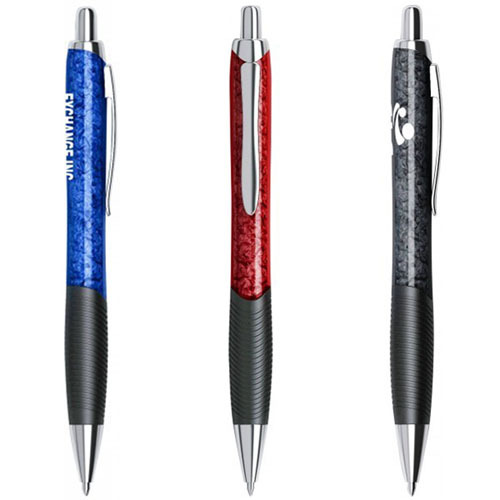 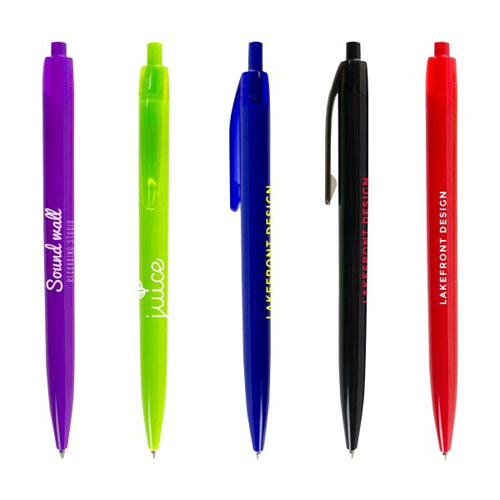 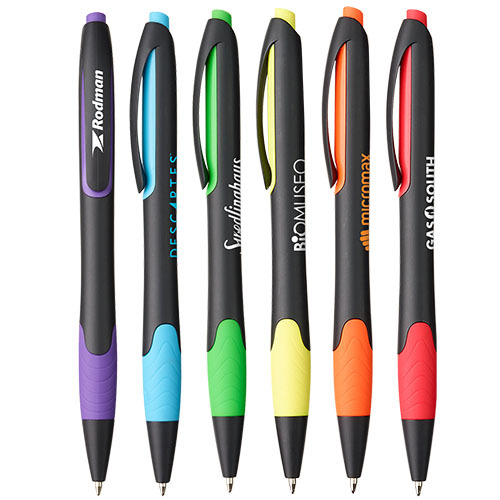 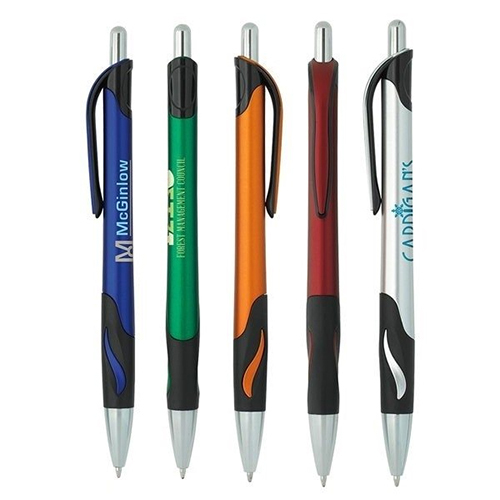 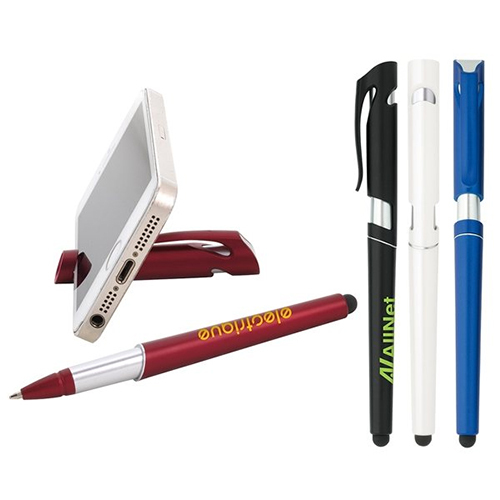 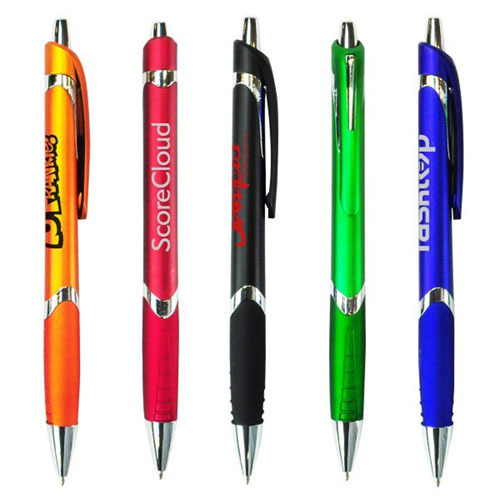 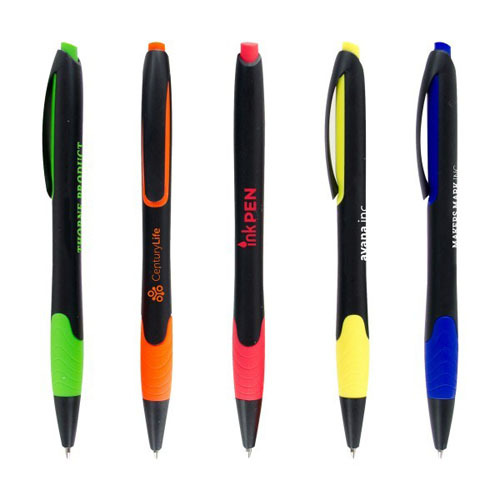 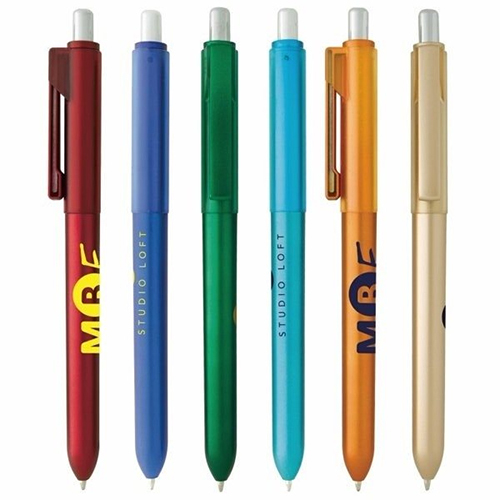 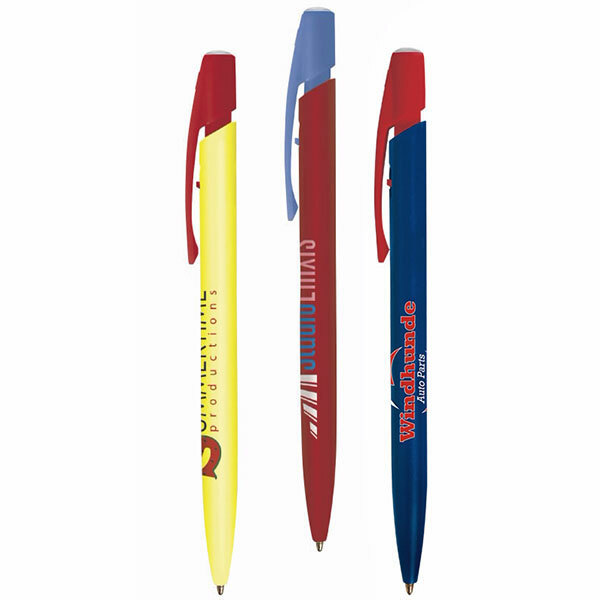 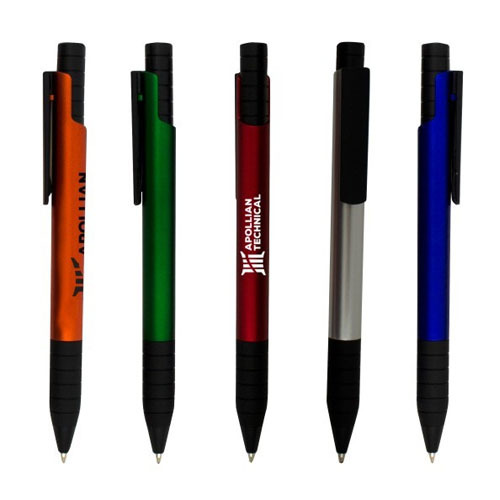 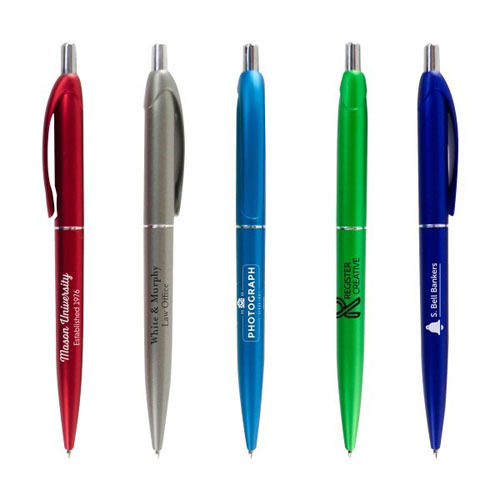 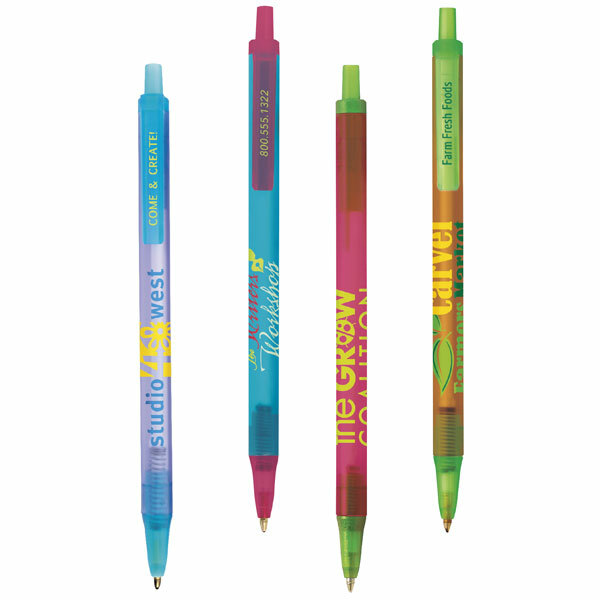 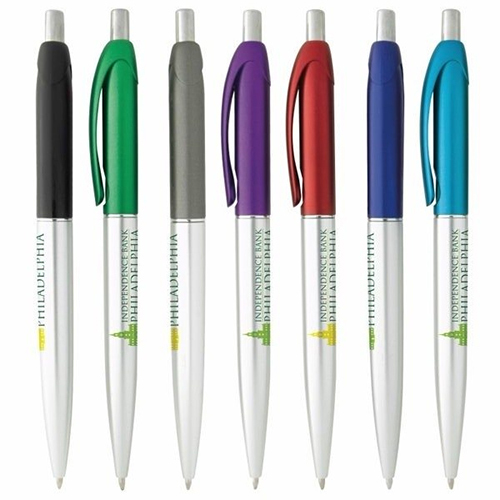 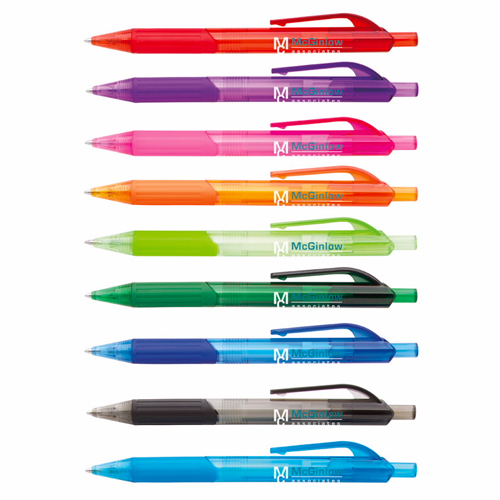 Promotional Click Pens are still one of the most popular giveaways. 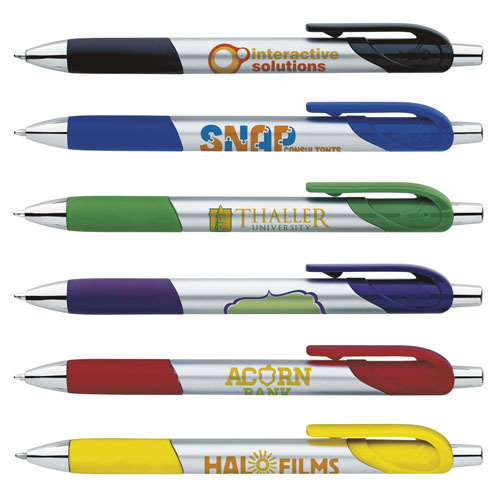 Your logo can be seen every time someone writes with a pen. 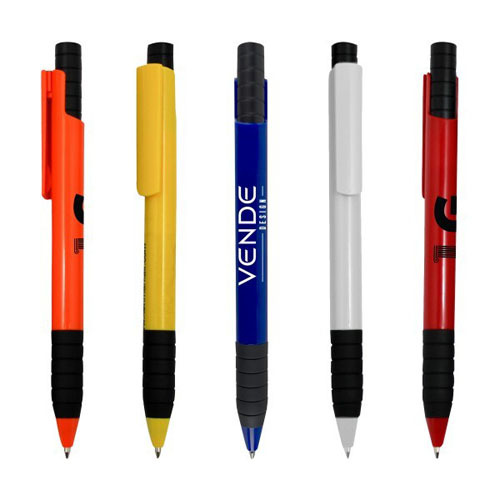 Seems like we are always loosing our pens so we can't get enough of them. 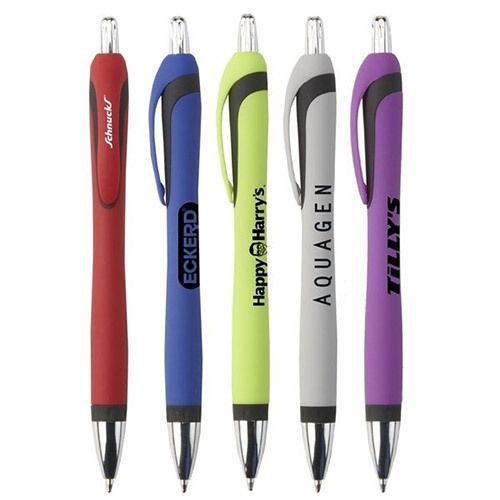 Personalized they are ideal for hotels, reception ares, doctor offices, any type of corporation, banks. 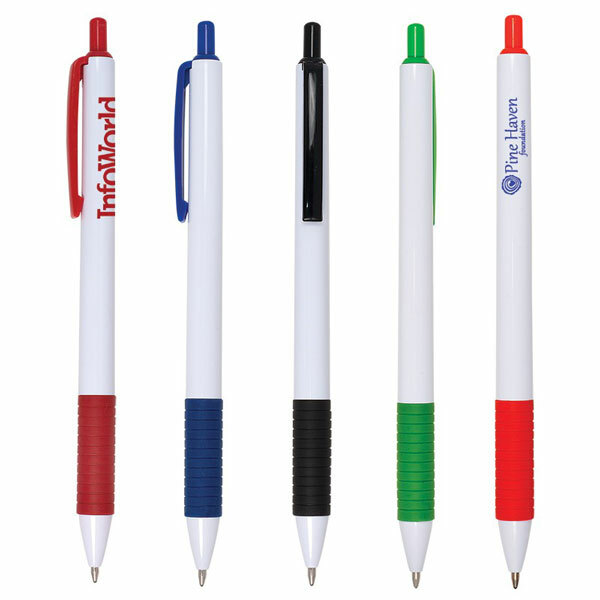 Ok you get the picture. 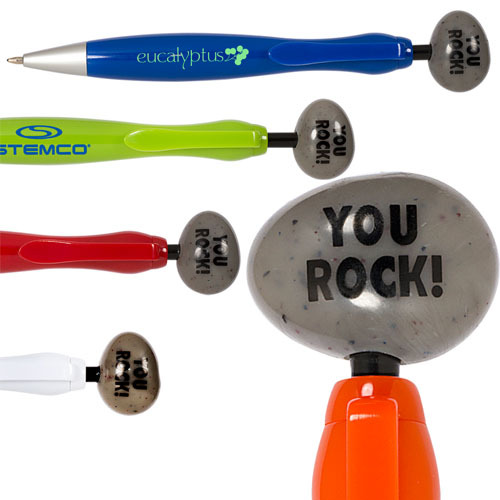 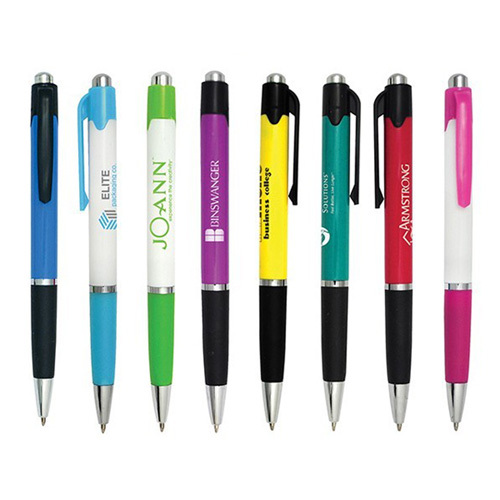 Anyone can use a pen for the a giveaway that will transport your company brand everywhere. 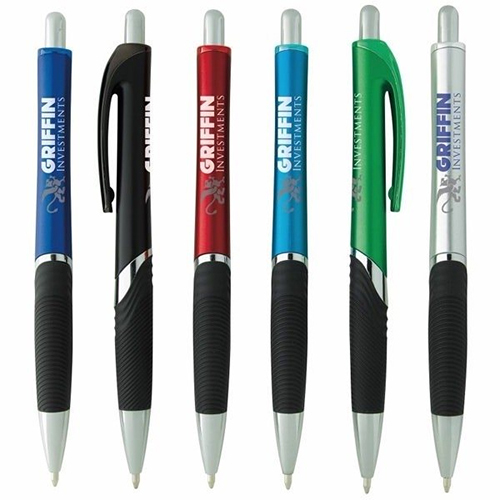 How many times does someone say, May I borrow your pen and forget to give it back. 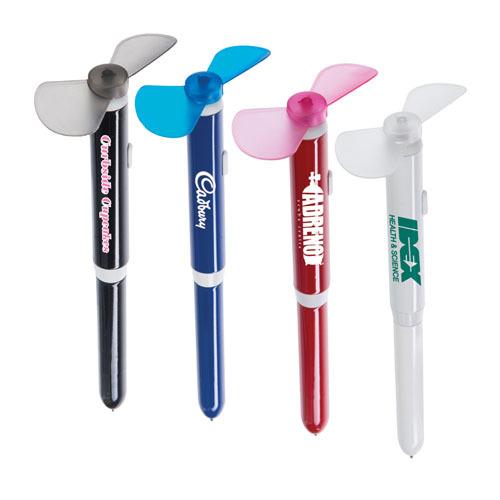 The message keeps on giving no matter where the promotion started. 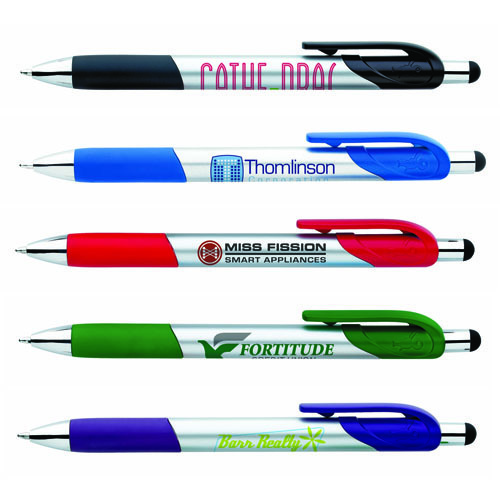 So start your promotion now. 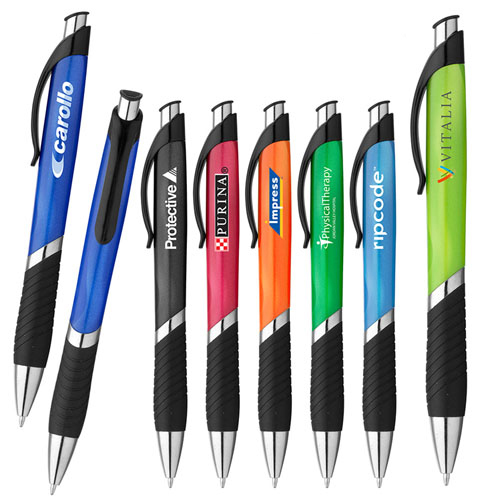 What makes the best promotional pen giveaway? 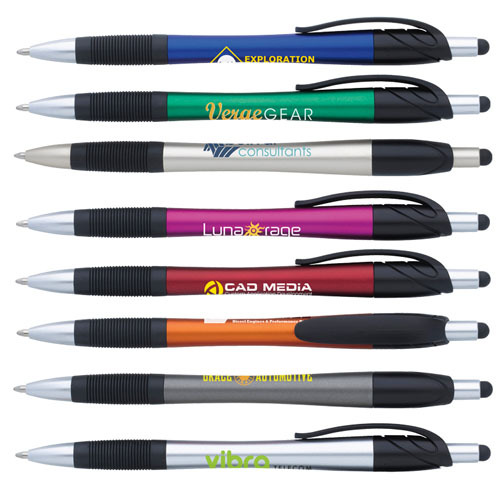 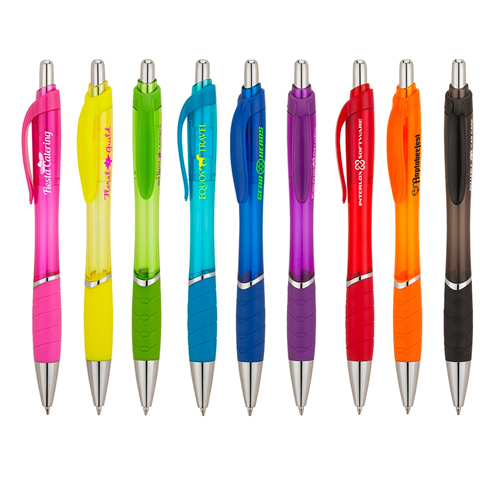 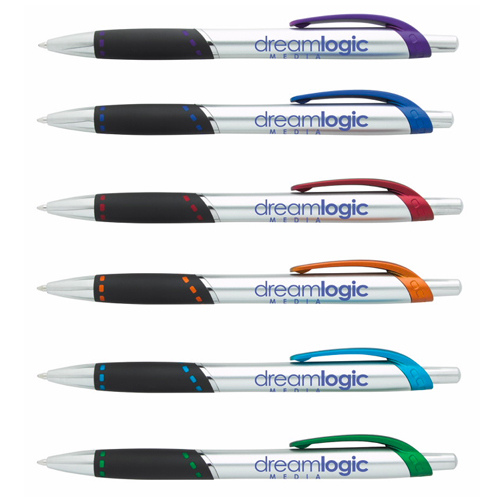 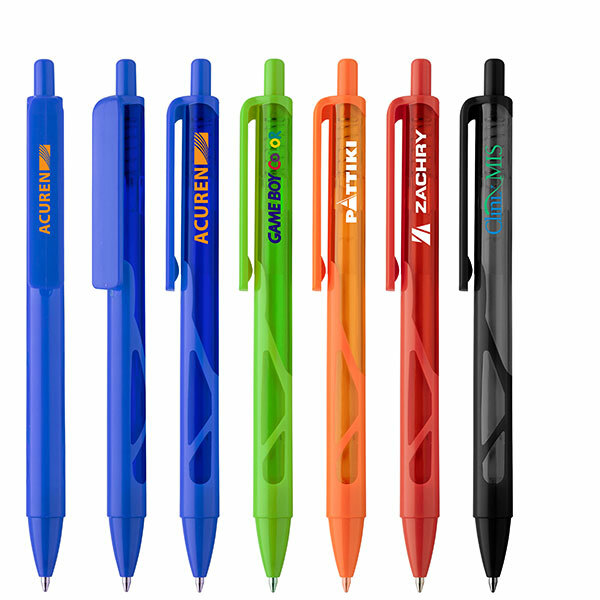 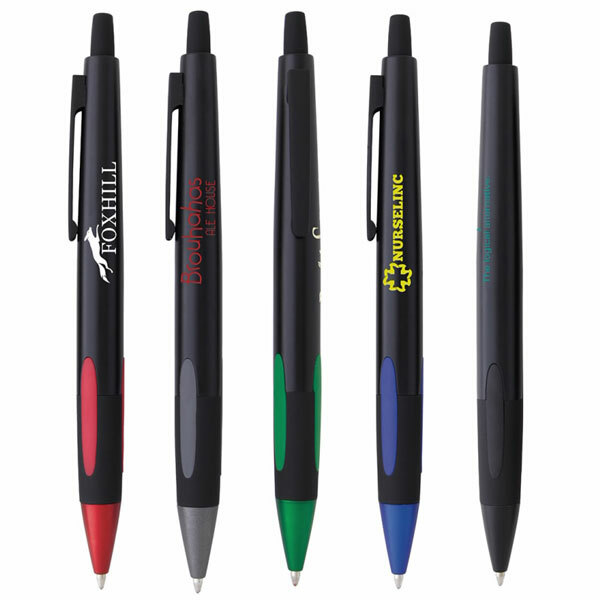 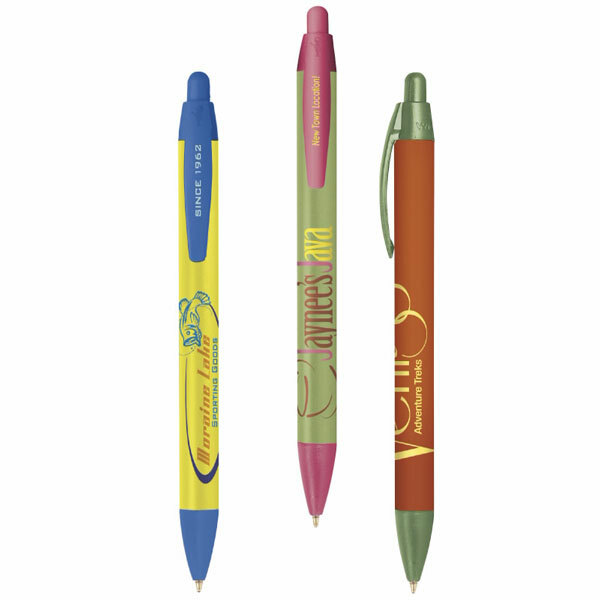 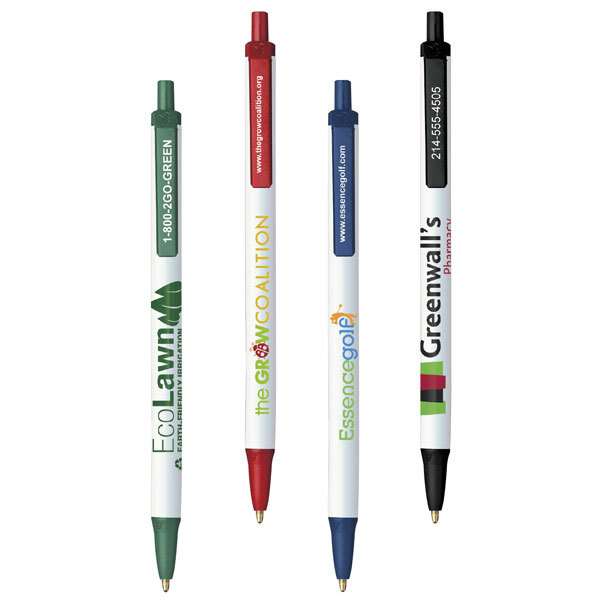 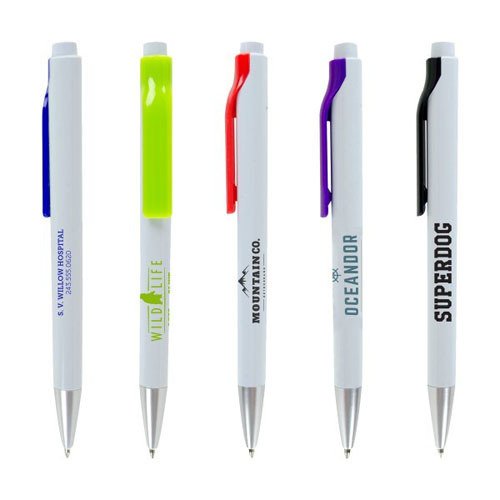 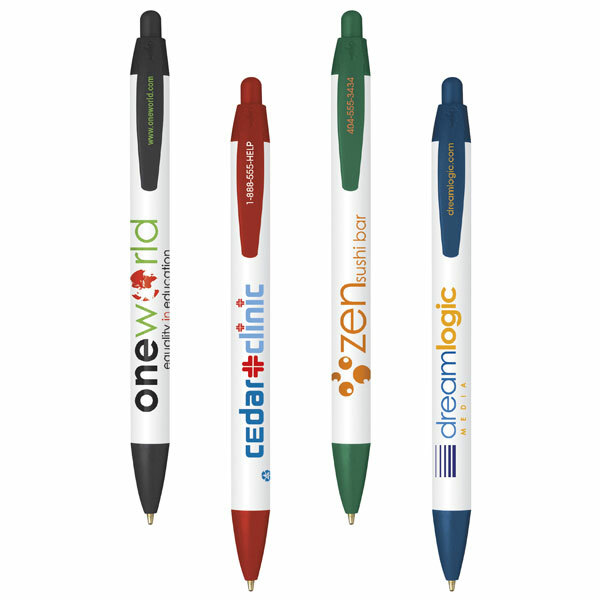 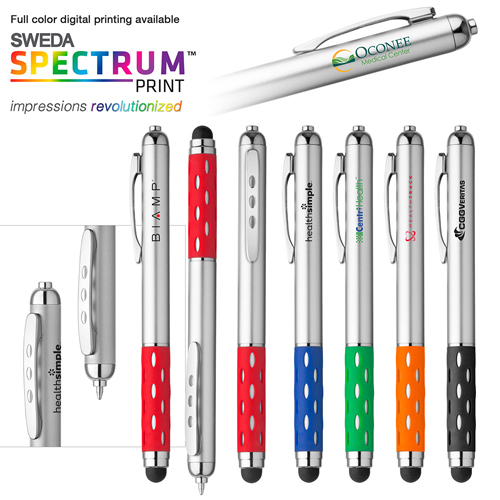 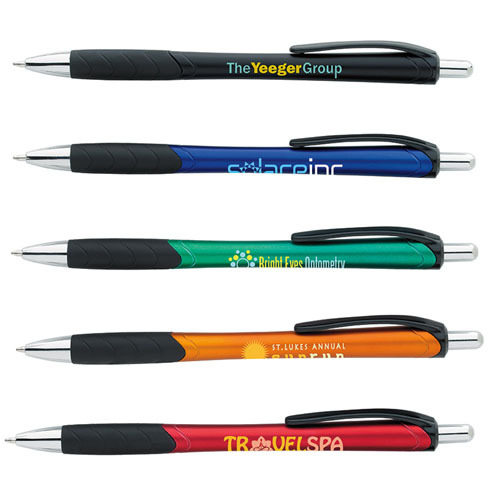 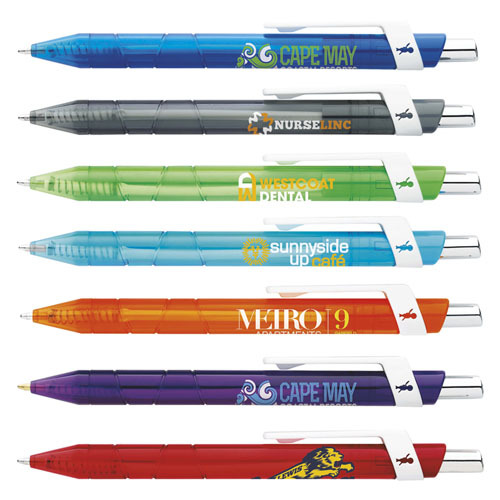 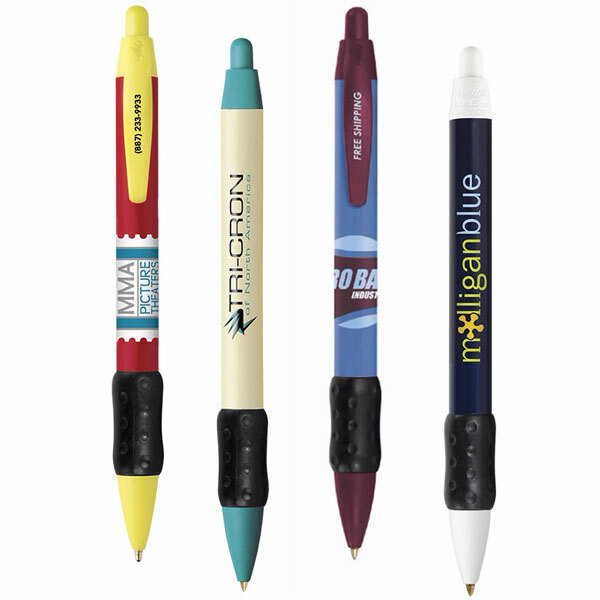 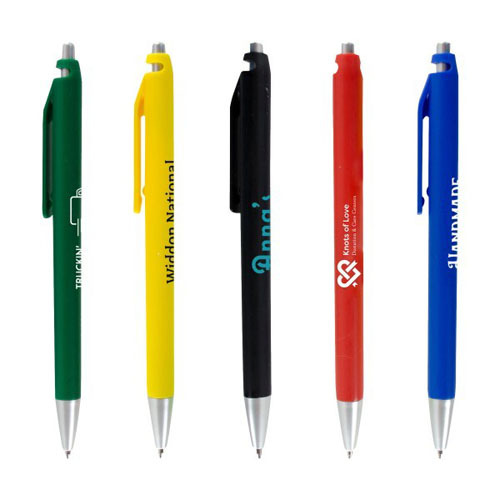 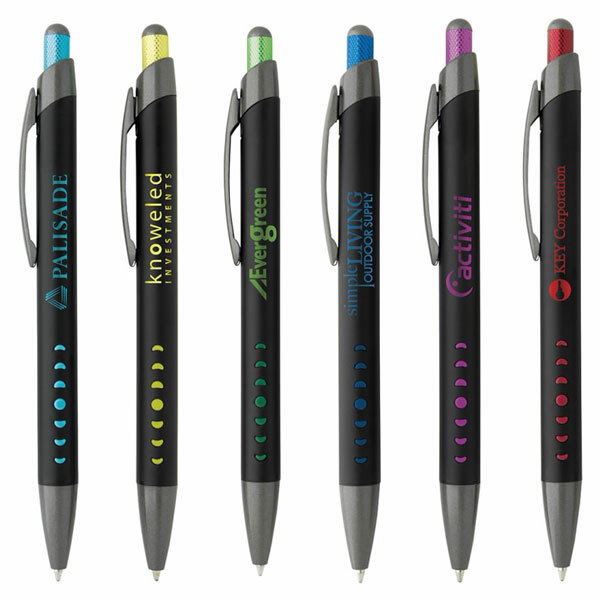 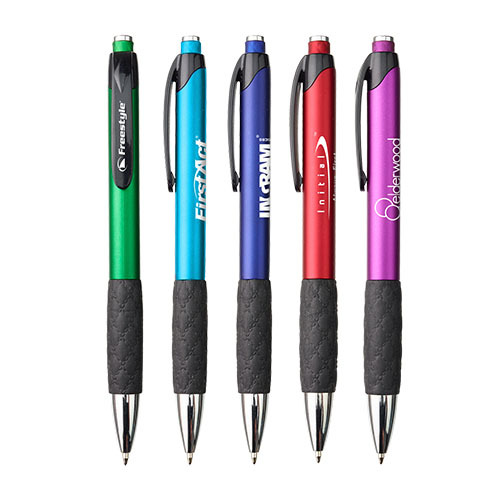 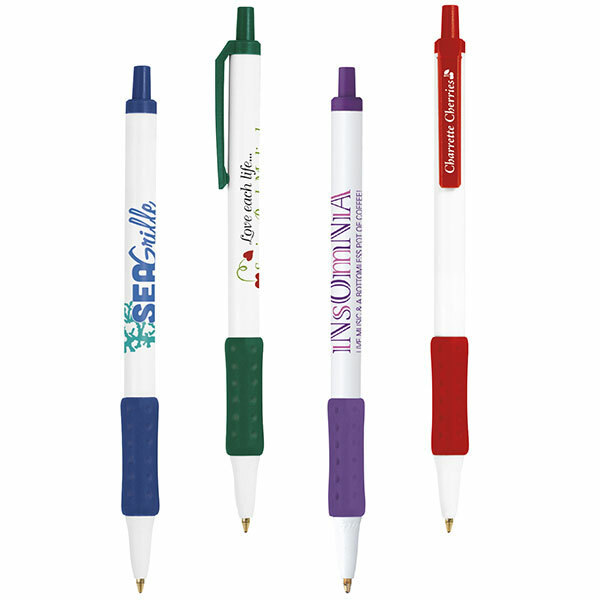 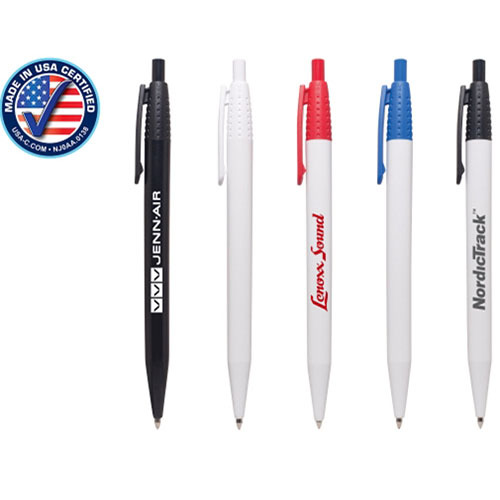 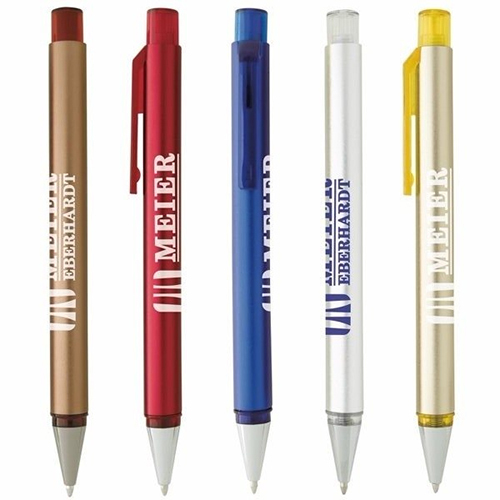 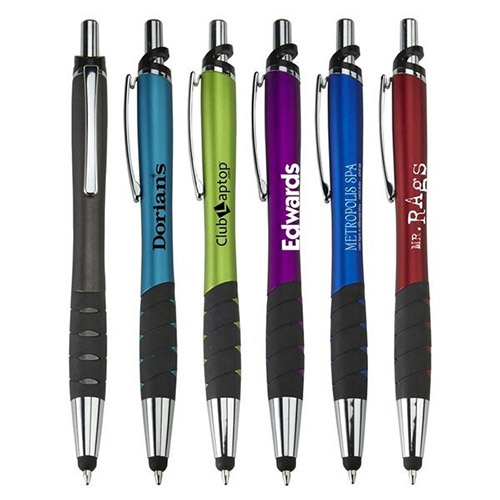 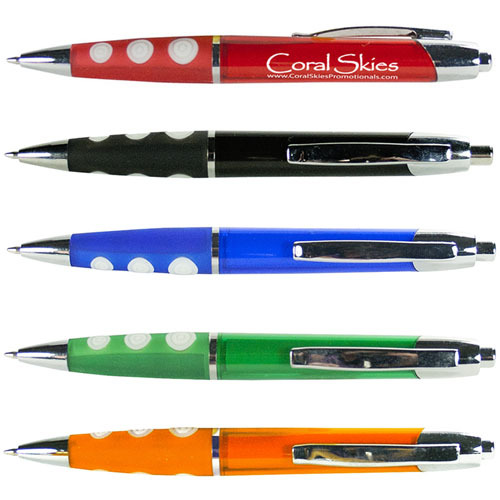 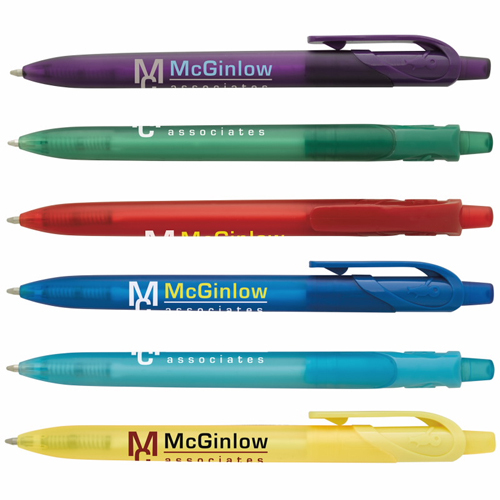 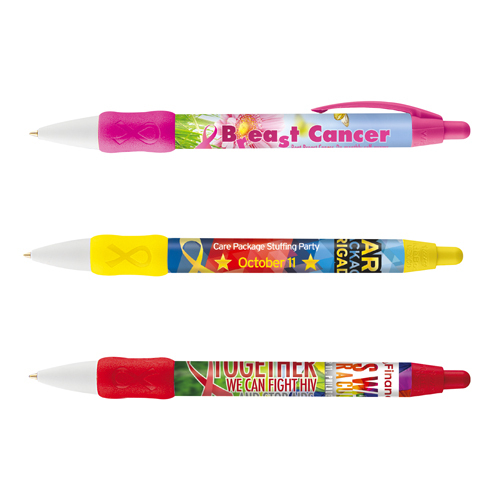 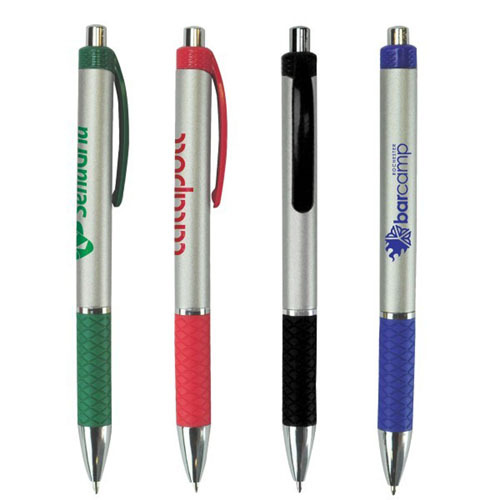 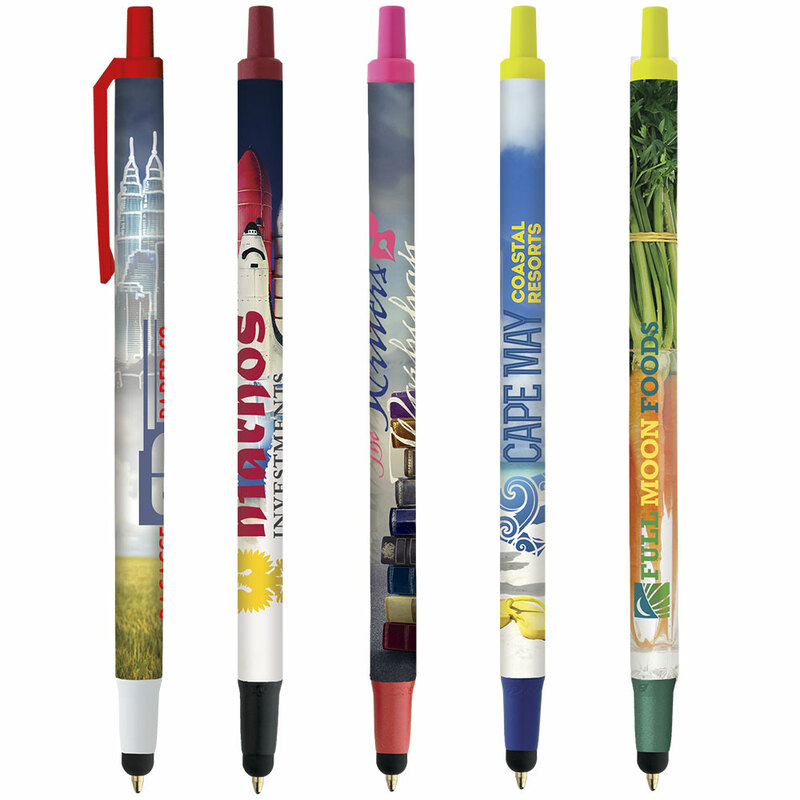 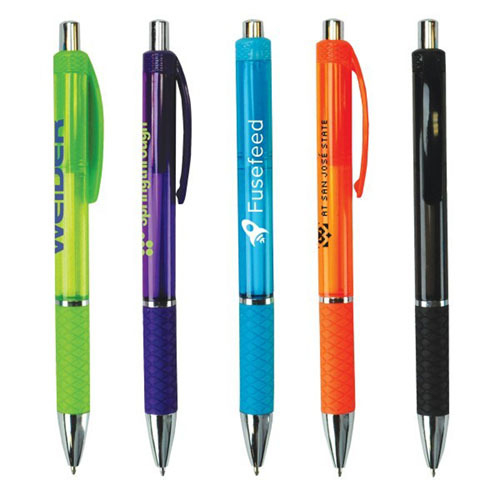 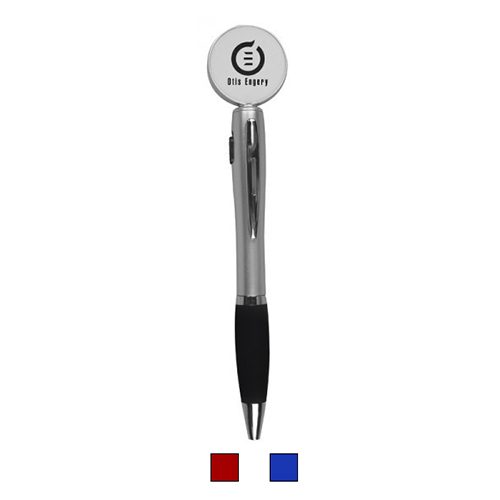 Custom printed promotional pens are cost effective, best selling and will build your brand by adding your logo.